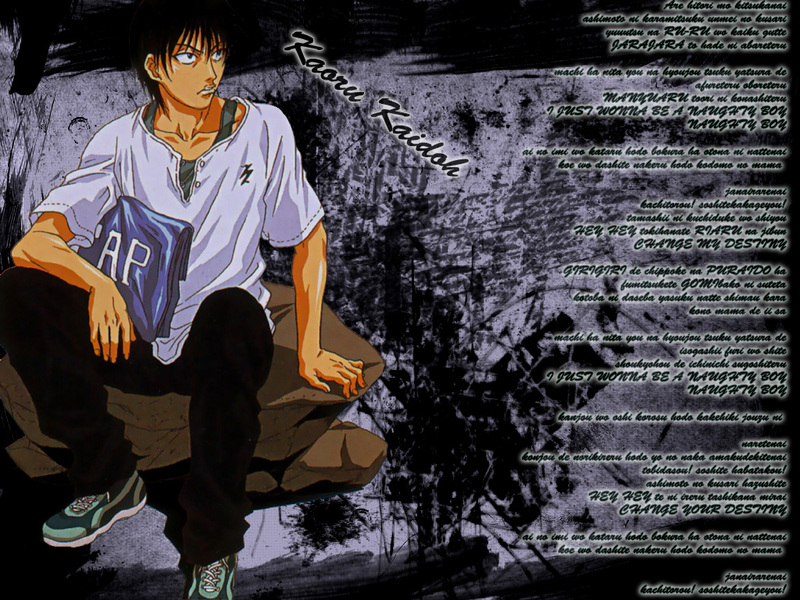 Prince of Tennis Wallpaper: Mamushi! Minitokyo »	Prince of Tennis Wallpapers » Prince of Tennis Wallpaper: Mamushi! nice wallpaper, i like the way you made the background. and the lyrics, they shouldn't be onthe black part on the top and botom. Kaidoh look very cute in this picture !!! The background is nice and perfect with the song lyric together!! Nice job !!! Thank for sharing !!! I think you get Kaidoh personality perfectly. Thx for make it n thx for sharing. great combination, him and his song. the black background kind of suit him, isn't it? kaidoh...*drools* anywaaaaaay, i really like the colour scheme of this wallpaper. nice nice! !